One of the keys to future success is making sound financial decisions early on. Recent research findings published in the journal Science indicate that poverty and dealing with financial issues saps our mental abilities. "The limited bandwidth created by poverty directly impacts the cognitive control and fluid intelligence that we need for all kinds of everyday tasks." (Emily Badger, The Atlantic Cities). We want you to start building good financial habits while you're young so that you have the cognitive function to focus on other important things in life. Thus, let's get started with the basics and read about how to make a budget and sticking to it. For some, handling personal finance is a natural skill. For many others, it is a long and labored learning process. Personally for me, it’s the latter, and a process that I hope doesn’t end. It’s hard to admit this, but my parents and many of my relatives don’t have great relationships with money. Some gamble it away, some spend it on way more wants than needs, and some borrow more than they can handle. I observed all these growing up (and still see it today), and I unfortunately developed the “earn then spend” mentality, rather than the “earn, save, give, then spend” mentality. When I graduated college and thankfully landed a full-time job, I knew that I had to buck up and face the reality that “earning then spending” would leave me at the intersection of Broke and Financially Stunted. Knowing my many shortcomings in the financial area of my life, I started reading books and a ton of blogs about personal finance. They have all taught me how personal finance should look like and how I can use it to plan my wealth and pay down my debt, while still enjoy being a 20-something living in a big city. And each book and blog has taught me one simple thing: personal finance is personal. Not every rule or suggestion will work the same for each person, but rather, it should be used as a map with many routes to the same destination. 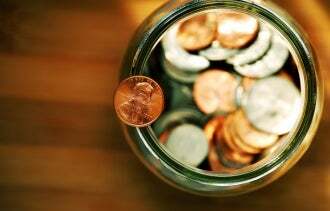 For me, personal finance isn’t just using math as a means to acquiring more monetary assets. It’s a tool that I use to advance my dreams and aspirations, like being debt-free, living under my means, buying my first home, or finding resources to help fund a potential startup. Effective personal finance is a behavior, and I hope to impart useful advice that I have used in the past that might be helpful to you in developing a good set of habits when it comes to your wallet. The first principle you must know in personal finance dictates anything concerning your hard-earned cash: how to budget. Budgeting is one of the simplest tasks in personal finance, yet not everyone of us knows how to effectively use one. Not only can budgeting help you plan your month’s expenses (or whichever time interval you prefer to use), but it can help you finance on a micro-level like financing a vacation trip that you’d like to pay with cash (rather than credit or personal loan), taking a class outside of school that you’re interested in (like a sewing class at the local community center), or even investing in your side hustle (like paying for the launch of a new website). At its most basic level, a budget simply compares your income against your expenses and helps prevent you from overspending. First, list all your sources of income. Then, list all your expenses. You can make both as specific or as general as you want it to be – whatever works for you. In my sample budget, which looks pretty similar to mine as a working college student some years ago, I made mine pretty general. Employing the zero-out method (notice my end balance is $0), if I underspend in one category like misc. spending, I can allocate the leftover money to my groceries fund or send it over to my savings account. By the same token, if I overspend in misc. spending, I must transfer enough money from, say, my groceries fund to ensure that my balance stays at zero, helping me avoid overspending. This is just like using an actual budget envelope, except you can keep it virtual with smartphone apps like EEBA. If you prefer to have a physical budget envelope, you can do that too (though I do caution carrying too much cash around with you). End balance > Expenses = Amazing! End balance < Expenses = Bad! If you find yourself in this situation, consider spending less or earning more (preferably the latter!). Common sense, right? For many of us, though, it is easier said than done, but that’s what I’m here for. If you currently live in the second bullet, like I had been for quite some years, I hope to help you break the cycle. Keep checking back here at Jeepney Hub for more tips on personal finance, or make it simple for yourself and subscribe to our email newsletter! If you have any feedback or questions about this post, I’d love to hear about it! The Millionaire Next Door by Thomas J. Stanley and William D. Danko, proving that the millionaire next door is least likely to buy a brand new Benz or have a Rolex watch. He also might not have the biggest house on the block. Your Money or Your Life by Vicki Robin and Joe Dominguez, transforming the way we think about our time and our money – a personal finance must-read. Money Under 30 - a blog catered to 20-somethings, started by David Weiner when he was 25, covering all sorts of topics from financing your college education to planning a family. Money Girl - a blog on Quick and Dirty Tips by Laura Adams, a writer and host of one of the most popular personal finance podcasts around, covering topics from credit scores to investing in a Roth IRA.